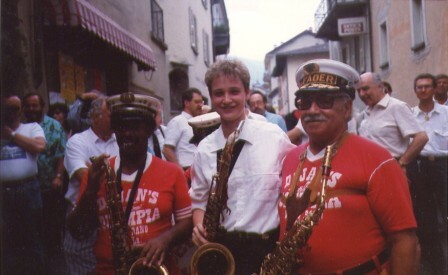 Sarah with the Harold Dejan’s Olympia Brass Band of New Orleans (Freddie Kemp and Harold) with some of the Ambrosia Brass Band in the background (Luciano, Bacchiocchi and Marco). 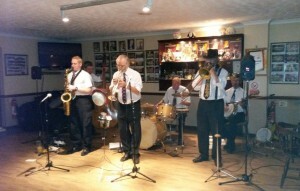 Sarah Spencer’s Transatlantic Jazz Band at Farnborough Jazz Club on 12th August 2014. Photo by Steve Moyse. This entry was posted in Sarah Spencer's Transatlantic Jazz Band on September 14, 2014 by Diane. What an evening, I just loved it all. 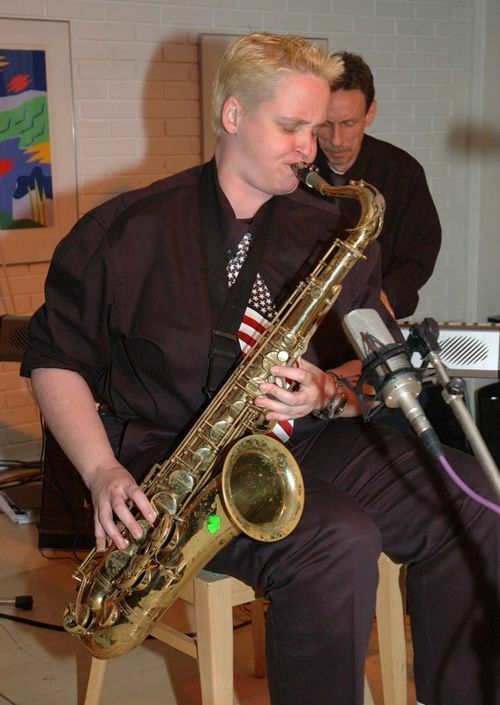 This entry was posted in Sarah Spencer's Transatlantic Jazz Band on September 17, 2013 by Diane.